"ADVAITHA DARSHANAM GYANAM - II"
In the August issue of H2H we had an article on the same topic, to read that now go here. We elaborate a little more on the same theme in the current article. Avatars, however do not cry at birth, which appear to be the sole exceptions! Our lives should progress so that at the end we exclaim “So Ham” or “I Am That”. Kabir, the mystic saint of the 14 th century says, “When I was born, I cried and the world laughed. Let my life be of such worth that at the time of death, I laugh and the world cry!” Unfortunately we live more like the king in the following example. Swami tells the story of the court jester in the King’s palace who used to ask stupid questions of the learned assemblies in the court. So the King dons him a dunce cap, which he has to wear, whenever in court. The King becomes old and then a sickness brings him to his death bed. 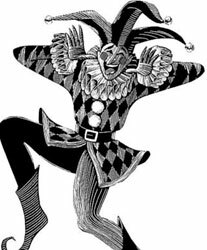 The jester then asks “Oh King, where is this place you are going to?” The King has no reply and says he does not know where he is going. The jester is surprised at the King’s reply. He says “Oh King, even though you knew that you would have to go one day, you never tried to find out where you would be going? You are a bigger fool then me!” So saying, he puts the Dunce cap on the King’s head!! Probably, we are all like this King, if we do not know our soul or our goal. In fact, we do not go anywhere at time of death; merely our state of consciousness changes. As Swami says, we go from one room to another. So we need to investigate these apparently different planes of consciousness to lose our fear of death and discover who we really are. In this light let’s see what happened to King Janaka. Is This Real or That? King Janaka of Mithila underwent an experience which led to his realization of the Atman or his true self. He was sleeping in his palace one day and had a bad dream. In the dream an enemy has attacked his kingdom, and is pursuing him. Janaka flees into the forest, wandering for days, becoming very tired and hungry. At last he spies a ripe fruit on a tree, which he takes down with great difficulty. He is about to eat it, when an eagle swoops on the fruit and takes it away. A painful “Aah”, escapes his lips and he wakes up. He finds he is comfortably sleeping in his palace. He is perplexed and starts to ask everyone “Which is real... that or this?” He cannot leave this enquiry alone to the point where the queen thinks he has lost his mind and calls the preceptor, Vashistha. Vashistha hears him patiently, and finally tells him, “Oh King, both the states are false, i.e. the dream state as well as the waking state. But the witness present in both the states is pure Awareness and that you are!” Prompted by his Guru’s teaching, Janaka realizes who he really is and merges into the Turiya stage of consciousness. Let’s get to know these states of consciousness to understand this story better. There are four states of consciousness: Jagrata (waking), Swapna (dreaming), Shushupti (deep Sleep) and Turiya (Samadhi) or the fourth state of consciousness. What man experiences in one state, is negated while in the next state, proving thereby that the first 3 states are relative states of consciousness. “Every human being experiences four states of consciousness in daily life. Without the Atma (or spirit), the waking state or experience of the phenomenal world cannot exist. The objects and forms that are experienced in the dream state have a reality only in that state. They have no existence in other states. All the joys and sorrows experienced in the dream state are unique self-created experiences of the Atma. In the third state of Sushupti, the experience of the waking and the dream states are absent. It is the state of deep sleep. It is because of Prajna that one is aware of continuity of Being in deep sleep state and experiences a feeling of bliss. 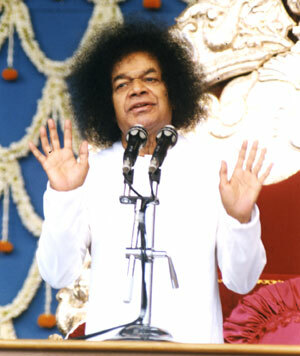 - Selected extracts from the Divine Discourse on 1-10-1987. Our ancient Rishis conferred upon us the title of “Amrutasya Putraha - Children of Immortality”. This is the truth of our Atmic nature which is present in one and all. It is latent and has to be made patent in us. What a glorious title for all of us to emulate and live up to! This is the “fundamental I,” - the truth about the Atman and our immortal nature, which Swami tells us very often. He gives several examples and analogies to drive home this precious point. The Sun shines by its own light, while the moon shines by the borrowed light of the sun. The sun is thus symbolic of the Atman, while moon represents the mind. 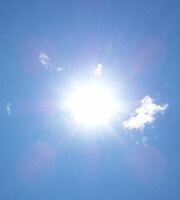 When the sun is shining, there is no darkness of ignorance, only illumination. Hence the sun is not conscious of any darkness nor is the sun aware of the nature of darkness or ignorance. For the sun ignorance is non-existent. Similar is the nature of the Gyani. He does not see dualities, sorrow, joy, etc. Suppose a person has never tasted sweetness on his tongue. How does one explain it to him? We begin by saying, ‘sweet’ is that which is not sour, not salty, not pungent, not bitter, etc. (‘Neti, Neti’ ‘Not this, not this’). Even then the person will not understand the taste of sweetness. It is only when he puts some sugar on his tongue, that he will appreciate sweetness. He then exclaims “Now I know what sweetness is” Swami calls this practical knowledge - tasting the sugar (experiencing who you are), rather than depending on all types of explanations found in books. The Atman is similarly arrived at by the process of “Neti-Neti”. Bookish knowledge will not yield this result or Darshan of the Advaitic Knowledge. 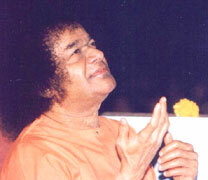 The Grace of God alone will redeem the Sadhaka. The screen (Atman) is not affected by the picture (the world) projected upon it. All kinds of things are seen in the picture, but the screen is unaffected. Another important point is that the screen can exist without the picture, but the picture needs a screen to display it. We get engrossed with the picture, and so, when the picture is seen, the screen is not visible, and when the screen is seen, the picture disappears from our consciousness! When a man climbs a tree to get at the fruit, his shadow also climbs a shadow tree to grab a shadow fruit. The analogy being that for one pursuing spiritual goals, the shadowy, or illusory worldly goals are also met in the process. When several pots filled with water are placed in the moon-light, each one reflects the moon in its pot. The pot with water is compared to the individual and the moon is the Atman. 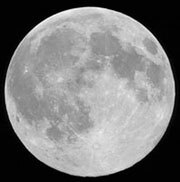 The reflected moons are many, but the real moon is in the sky and it is One. The moon in the sky is unaffected by its several reflections. Thus, our real self is untouched by what happens in the world. There is Akash (ether) in an empty pot. This appears as different from the Akash outside the pot. When the pot breaks, the two Akash become one. Identification with the body (pot) creates separateness and multiplicity, while the Atman is One without a second. Giving up body consciousness means breaking the pot. We can take so many similar analogies from Swami’s discourses. But the point is this - the transience of our worldly life and the permanent nature of our true self. Can you see other themes? We will deal with this further at a later date. Optimized for Netscape and Firefox. Best viewed in Internet Explorer - 1024 x 768 resolution.